To perfectly fit your event! Photo entertainment for EVERY occasion! WHAT KIND OF EVENT ARE YOU HAVING ? Start by requesting a personalized quote! Scroll to the bottom of the page and send us a quick message including as much information as possible about your event ( ie: location, date, time, theme, type of event, etc) so we can best advise you on each one of our dynamic services! Once you find the photo entertainment that best fits your event, we can book your date! The process is as simple as 1-2-3. You will receive an agreement from Snapfiesta, and once the contract is signed, you can sit back and relax. SnapFiesta will be onsite the day of your event to get the party started!! No need to worry we will keep you in the loop throughout the entire planning process. A couple of weeks before your event you’ll receive an email where you will get to communicate all of your specific preferences. Choose your online gallery settings, the perfect backdrop, and we’ll even design the ideal layout unique to YOUR event. On the big day we will arrive two hours prior to our operating time to set everything up. Once the event starts, so does the fun. Your guests will have a blast posing with our quirky props as our personable technician assists them with getting camera ready. Your guests will get their pictures printed instantly with reprints on demand. Less than a week after your event you’ll get to enjoy all of your high resolution photos! You will receive a link from Snapfiesta where you can download all of the high resolution pictures we took on the night of your event. You will also get an online gallery with all of the photos so your guests are able to download their own stunning photos! Kick the post event blues to curb. Thanks to SnapFiesta, you get to look back at your awesome pictures or videos and relive the happy moments for years to come! SnapFiesta has GREAT backgrounds, wonderful customer service, quick turnaround, fun props and a really cool slo-mo booth. The lighting is beautiful and everyone looks even better in the photos! Great company! After comparing several companies, SnapFiesta had all the options I was looking for: great backdrops, unlimited photo prints, open air photo booth and a competitive price point. …the lighting set up was fantastic (softbox and a ring-flash), the props were fun and classy, and the photographer was deft and ensuring everyone at the event looked great and the line never got long. 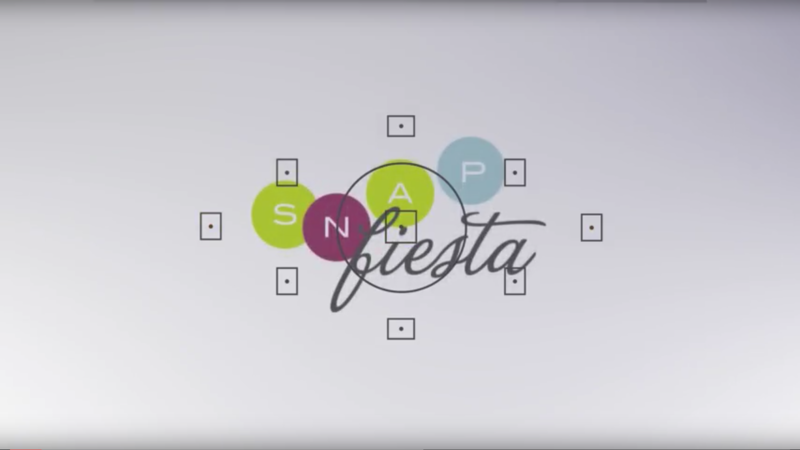 SnapFiesta was easy to work with, got all my specs for the photos, were incredibly responsive, and took such fun photos! SnapFiesta was above the rest in responsiveness – even multiple times a day. I didn’t have to worry for a second on the day of my wedding, they were set up exactly where they needed to be, and stayed until the very end for the final fun photos at the end of the night. LOVED THIS VENDOR!! The party wouldn’t be the same without your photo booth! I will never use another photo booth–communication leading up to my event was perfect, clear, and professional. When it came to the day of, I had every need met, and then every expectation exceeded. I rented the photobooth for a corporate event of new employees (around 500 guests). I was worried that people would be shy/wouldn’t use the photo booth, but there was a constant line for the entire event. (…) Couldn’t recommend SnapFiesta highly enough! Can’t wait to work with them again.